So, the reveal of A-DCU’s at Vegas is something that caught me off guard, as they’d been presented to us on the CSM fairly recently prior to being rolled out. Whilst the first wave of our feedback had gone in, we normally see at least one refinement of the mechanic and ideas behind it before public presentation. However, given the fact that AFs and HACs have been a problem point within the balancing ecosystem for a long while, I understand the desire by CCP Rise to get this out and have the direction in which to take these ships be constructively discussed. I relish the chance to talk about this in more detail. Not only does it give me a chance to do what I’d normally do on the CSM where I break down my thoughts on the topic in public to give an example of the feedback that I’d present to CCP (and get paid for it #ThanksNiden). It also serves as a callback to the first ever article I wrote for CZ – “Why HACs have to Die” – where I outlined what I thought were the main problems with the HAC class in general and what was needed to properly separate them from other ships. My thoughts on the topic have evolved since then, but I think the core discussion kicked up by it was by far more important in understanding the underlying problems, rather than in pushing for any particular solution. If you are reading this article I assume you’re vaguely familiar with the A-DCU concept presented at Vegas. However, for the purposes of providing context, it will be an AF/HAC limited module which can be used instead of a DCU. This Assault DCU can be activated in order to provide 20s of extremely high resistances, before going on a long (as of yet unspecified) cooldown. In order to evaluate what this does to strengthen the two ships, let’s take a look at the two ship classes and the major complaints levelled at them at all levels of warfare. Speed – AFs are by and large slower than their T1 counterparts, which hampers their ability to both initially reach and then stay on top of their targets. Aggregated across all ships, they average a -26.19% speed differential after an MWD is applied, due to their high mass and low base speeds. Note that this is unique to the AF class, with HACs (the closest comparison point in terms of class identity) having near identical speed values to their T1 counterparts, with the exception of the Zealot. Capacitor – AFs are incredibly vulnerable to Energy Neutralizer pressure which can turn off the range control & tackle they need to be useful in either 1v1s or in smaller gang as ‘heavy tackle’. This is a general weakness faced by all frigates but is particularly prominent with regards to the Assault Frigate class as they lack any form of bonus to allow them to mitigate this with good flying or fitting options. Especially when compared to the tackle focused Interceptors which can maintain a point beyond Heavy Neutralizer falloff. This is then further accentuated by a simple lack of base stats in the area to play with – the Wolf, for example, has less Cap Regen/s and overall Capacitor than the Claw. This is a similar design philosophy to how HACs were originally envisaged. They were, however, given a strong a Cap Regen buff across the board in Odyssey 1.1, which was not carried over to AFs. ‘Old’ slot layout – Assault Frigates were designed in an era when the main tank of Frigates was their speed and agility, with a light passive tank, as AARs & ASBs did not exist at the time. Along with this, Small Long Range weapons were a literal joke in 99% of use cases. As such, utility highs were greatly valued and as such put on the majority of the AF hulls. However, the environment for which AFs were designed is no longer coherent with the modern meta of Frigate PvP in small gang or solo, where utility is primarily a mid-slot based function. Combat effectiveness vs T3Ds – AFs are also muscled out of their space as direct combat ships by the power of the T3Ds, which are better in almost every fleet aspect. A Confessor for example, has greater tank (either active or passive), greater range and DPS, and more mid slots for utility, whilst being only 4 m/s slower than the Vengeance in Propulsion mode. This means that in the vast majority of cases, using a Confessor as your ‘heavy tackle’ will make more sense than using a Vengeance, as it provides significantly more power to your gang than the Vengeance without sacrificing much in terms of tackling power. Difficulty in trading in the midrange (30-70km) – In a fleet context, HACs are incredibly weak on the edges of web range. This is due to their low EHP and overall reliance on mitigation tanking (primarily sig or range tanking) to be able to make up for it vs LR BS doctrines which can apply to them effectively. Vulnerability to Neutralizers – In both a fleet, small and solo context, the CR HACs which cannot kite at range effectively (Zealot, Sacri, Deimos) have a severe weakness to neut pressure, as they lack the mids and fitting to be able to mitigate it through injectors or cap batteries. This seems to be an intended weakness in the class, however, seeing as it was previously given a Cap Regen/s buff. 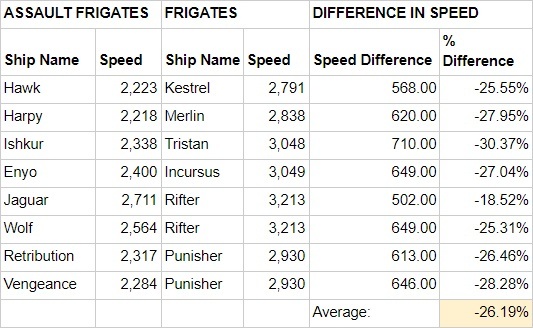 Collateral damage from T3C nerfs – The nerfs made to medium rails and beams as a result of the power of the Proteus/Tengu/Legion drastically impacted the power level of HACs+ by increasing the amount of ships reach critical mass. Poor slot layouts – This is notably better than with AFs as HACs were given a facelift in Odyssey as previously mentioned. However they do still suffer from some legacy design issues, with the Minmatar line being especially notable; the Munnin with its 3 mids, low PG, but an optimal range bonus, implying a weird armour-kite role that it simply doesn’t have the fitting space to perform well. Alongside it is the Vagabond with it’s 4 mid active shield tank – exactly the same amount of mid slots the Deimos (an active armour tanked HAC) has. Window of survivability – Provided one can push the button fast enough, the A-DCU will give an incredible EHP boost for 20 seconds, which is long enough to provide a lot of options to both HACs and AFs. For reference, a standard fit Cerb with its DCU active has 65.4k (no boosts, cold) and a Cerb with the new A-DCU active will have 280k EHP. That’s a 428% EHP bonus for 20 seconds. And on a Hawk it will provide 9.8k EHP whilst active in armour and hull alone. This latter option will likely be appealing to solo or small gang players due to the options this provides when combined with the ancillary reps of both flavours – a Deimos or Hawk will be able to activate its A-DCU as it runs out of charges, and partially reload during the window that this extreme tankiness provides. This will make both HACs and AFs significantly more dangerous in a 1v1 fight. In addition to this, it will potentially add a reason to use an AF over a T3D as tackle in a smaller gangs. It will give them a window in which they are tanky enough to hold tackle – assuming they are not neuted off – on even incredibly dangerous targets. However, the AF will still likely have to disengage after landing the initial tackle, as once the A-DCU effect times out they will be in a potentially hazardous position. Finally, this also provides HACs the ability to utilise what was supposed to be their main defining trait vs T3Cs (as given by Fozzie in the T3C focus group). This was their high resistance, letting them operate better under Logistics by giving them the temporary EHP they need to catch reps. By making this EHP temporary, CCP is attempting to avoid running into the problems that T3Cs caused in the meta of combining incredible permanent EHP with mitigation tanking which made them the defining ship of the meta for so long. This should help HACs potentially be able to trade well in the mid-range vs non-volley based fleets, provided line members are able to properly use the module. I do hold a minor concern that this will make some of the existing sniper HACs (most notably Cerbs) more powerful. It gives them the option to potentially fit more midslot utility without compromising their tank to a large degree, as they can rely on the mitigation from range to keep them alive after the A-DCU wears off. So, does the A-DCU fix all the problems with HACs and AFs? No. Looking at this point-by-point analysis we can see that it addresses one major point in both ships, helping give AFs an edge over T3Ds, and giving HACs a greater ability to operate in the mid-range. However, this doesn’t address some of the other key issues that prevent both classes from fulfilling a key role in the meta currently. CCP Rise made it known that he was aware of that fact in his presentation, saying that he expected to do a balance pass alongside this new module in order to help address the other aspects of the classes which are lacking. If this potential rebalance addresses the key baseline problems of AFs that the A-DCU doesn’t address, namely their speed and capacitor, I would expect to see them creep into use outside of their current niche cases. HACs are a little more ship dependant, and I’d expect to see this be massively effective in the mid-scale fleet (30-70km) where alpha-ing through HACs can be difficult. However, I think they’re likely to still struggle in a small gang because that doesn’t seem to be where they’re designed to function from a balance perspective. 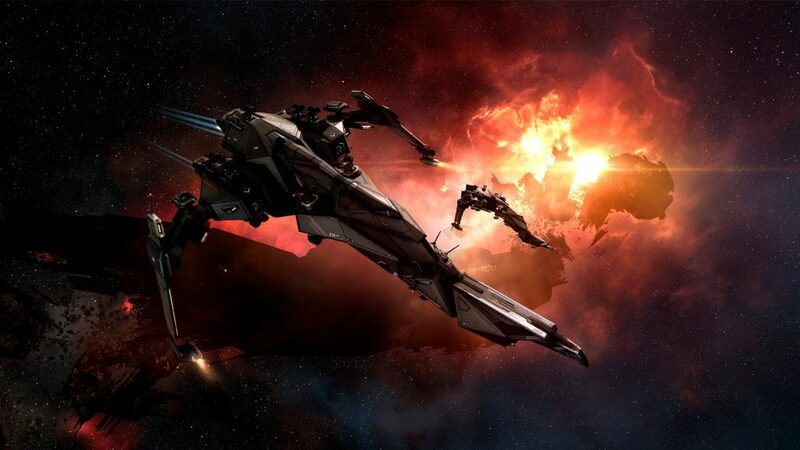 Whether you think this is a step in the right direction or not, I’m happy to see CCP putting in what has to be a not-insignificant amount of development and design time into producing balance changes at a far more rapid pace; with this coming hot on the heels of the T3C Rebalance, and being announced just ahead of the Lifeblood Alpha ships changes. One of the most important parts of this is giving good, constructive feedback to help let CCP know where problems are within the balancing of EVE, either directly or through the CSM. As such, I hope that the comments both Crossing Zebras and on Reddit will expand on the points presented here. Perhaps it will add more for the community to consider in terms of where the problems lie with both individual ships within the classes and the classes themselves, and not just 20 posts of “gib munnin mid”… Well, I can hope, right?